Songs are a useful tool in language acquisition. Language teachers can use them to open or close their lessons, to introduce topics or themes, to add variety or change the pace, to present new vocabulary or recycle known language structures. Simple, repetitive songs often contain a recurrent grammatical pattern which is useful to teach (especially with younger children). More difficult songs often contain interesting vocabulary and idioms. Also, there is often a message, a theme, or a story underlying a song which students can discuss, explain, debate, and write about at almost any level. According to Gardner, students classified into ‘aural/musical’ category will have a lot of benefit from learning through songs as they are strong in singing, picking up sounds, remembering melodies and rhythms. They like to sing, play instruments and listen to music. This is not to say that learners with other learning styles cannot benefit from songs. Of course, they can, because in the activities we use songs, we can dance and act (physical learning style), read, draw and do puzzles (spatial intelligence), tell stories, and write (verbal learning styles). Songs often contain common, short words. The language in songs is often conversational. The lyrics are often sung at a slower rate than spoken words and there is repetition of words and grammar. Songs address the effective side in learners so they can motivate them to learn. Singing songs in and with a class is a social act which allows learners to participate in a group and express their feelings, no matter what their English is like. Songs provide a great opportunity for young learners to move around. Clapping, dancing and playing instruments stimulate memory, which makes it possible for learners to hear chunks of language as they sing and use them in different situations later. We all know the phenomenon of the song-that-is-stuck-in-my-head. With the right kind of song, it is easy to use this phenomenon to get learners to know what to say and to produce language rapidly without pausing. Songs used in English classes can, in that way, shed light on interesting musical traditions in countries, but can also teach teens, young adults and adults to appreciate other cultures. For adult learners, songs can be “a rich mine” of information about human relations, ethics, customs, history, humor, and regional and cultural differences. Through singing authentic songs, learners would have the opportunity to listen to pronunciation in a wide range of varieties of the language. Songs will help learners become familiar with word stress and intonation, and the rhythm with which words are spoken or sung. Again, this will enable learners to remember chunks of language which they can then use in conversations or in writing. As language teachers, we can use songs to practice listening, speaking, reading and writing. Start with a focusing activity: anything that will get students thinking about the subject of the song. Have them think about the title of the song, in groups of pairs. Find a picture that relates to the subject of the song and have students guess about it. Put the important words from the song on the board. Present what each word means. Then, have students give you simple sentences that include these words. Write the song on the board. Students listen to it. You can stop the song before a word you want them to guess or after each part of the song. Cutting the song into strips, give each student one strip to memorize. Students put the strips in their pockets. They get up and tell each other their part of the song, without looking at their part or showing their part to anyone else. Students then organize themselves in the right order, speak the song and then listen again and check. You can also have students put the strips on a table in order. Ask students some questions about the song (about the words, about the topics or about characters in the song). Change words (adjectives, adverbs, nouns, names, places or feelings), and invent new lyrics for the melody. If you have karaoke versions of the songs, you can then let students sing their own versions. The possibilities are endless. Music and songs are fun, and most people enjoy them. Make songs a regular feature in your lessons! If you are interested in English language teaching and want more practical steps, tips, ideas and procedures to teach English language more effectively in the classroom, you can subscribe to my blog not only to get my latest posts delivered to your email box but also to get my FREE GIFTS: Two of My Featured ELT Guides. There are six myths or half-truths that are related to the teaching of listening during the process of language learning. They are false rituals which need to be analysed and put into question. Let’s consider them. 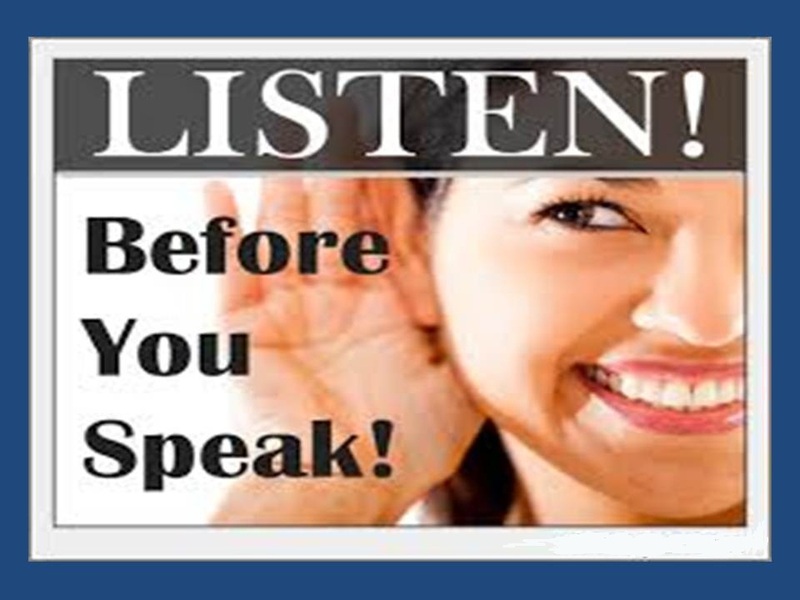 In fact there are many things teachers can do to help students listen effectively. Teachers can continually expose their students to appropriate listening material which should be followed by good practice activities which give students opportunities to listen successfully and build confidence in listening skill. Teachers can teach students some strategies which can guide them to efficient listening. Listening is not passive but on contrary it is extremely active. During listening students do many activities. They guess, predict, infer, criticize and above all they interpret. Clearly it is a receptive rather than a passive skill. 3. For students, understanding foreign speakers of English is easier than understanding native speakers. Of course it depends on other conditions such as the speed of the speaker talk and the amount of exposure to the target language. A further point is that the type of English students are exposed to affects their performance in the listening work they do in classroom. There are some differences in applying these skills. When we listen to our language we listen with “half an ear” that is without concentrating fully but still we understand the message. On the other side when we listen to a foreign language, we often need to pay full attention to the message to understand. It is not necessary as speech usually consists of words that are not important. Spoken language includes redundancy which makes listening easier because it allows us not to focus fully on every word. But one important point must be considered here, students can afford not to listen to every word when they have a command of basic grammar and vocabulary. In this case, they will be able to decide which words are significant and which ones they can ignore. When it happens, it may be said that students will focus on the reading more than the listening. The solution here is to use the script at the final stage after students listen to the text at least twice. Overall, it must be said that the exposure to the script has its benefits such as allowing students to see the difference between the written and spoken form of words. It also allows them to see which words are “swallowed” and notice prominent grammar points. All children need to listen first before starting to produce the language. In order that pupils can speak comfortably and fluently in English, they must be exposed to some silent or per-speaking periods. From these periods pupils can foster vocabulary and build comprehension. They can also get and store the right phonology features such as stress and intonation. But how can these periods be like in the classroom? * Giving some series of commands and pupils demonstrate and act them. * Pupils can give commands to each other and show understanding of they listen to. 2. They can be periods of listening to tape recorded conversations for 2 or 3 times before they can answer some comprehension questions and then they can act the conversations out comfortably.